We are a locally owned and operated family business servicing the Treasure Valley (Boise, Meridian, Eagle, Garden City, Kuna, Nampa, Caldwell, etc). As a fully licensed and insured company we will always strive to meet your needs in a field that requires efficiency, speed and a strong work ethic. 1. The profession of restoring and repairing grouted tile floors and showers. 2. A grout restoration expert. 3. A certification achieved by highly trained grout and tile technicians. 4. A grout and tile professional. Our goal at Groutsmith of Boise is to provide the highest quality of tile & grout cleaning, restoration & repair, to enable homeowners & business owners to enjoy and appreciate the beauty and functionality of their tile & grout surfaces, and to instruct proper maintenance techniques using the best products to keep their tile & grout beautiful. In 1992, the original Groutsmith was established in Sarasota, FL. Since then, they have grown nationwide to include Boise, Idaho after recognizing the strong demand for a professional service to clean, repair and restore tile and grout floors and showers. The work, at that time, was being done primarily by handymen and amateurs. 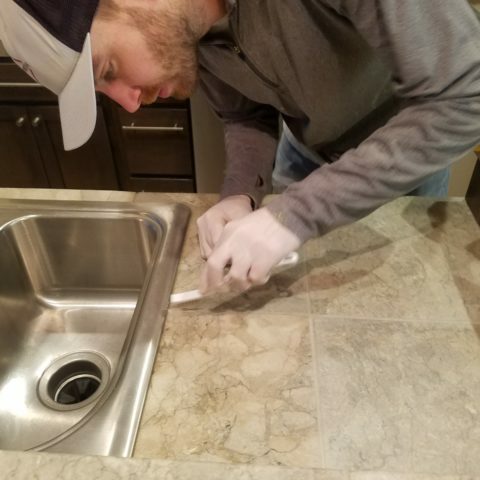 There needed to be a professional who could analyze the condition of grout and tile and then determine which service, repair and products were needed to professionally restore them to their original condition. Thus, the Groutsmith was born and a restoration process and a proprietary line of professional products were developed. All Groutsmiths are highly trained and certified to become experts in the Grout and Tile Restoration Industry.Our Owners, Dedicated Employees, Business Associates and Preferred Vendors make up our family, our winning team. Each Groutsmith Owner is Certified, Insured and offer the most advanced procedures and products in the industry. Every Groutsmith Certified Technician is trained in all aspects of Grout and Tile Restoration and Repair.